℗ 2015 Seven Four Entertainment, LLC d/b/a Loma Vista Recordings. Distributed by Concord Music Group, Inc.
"... makes a grander statement than its more rudimentary predecessors. It sounds like HEALTH finally know what they want." "... 2015's coolest heavy album ... sounds like peak Nine Inch Nails filtered through Yeezus, in the headspace of a band that had just written the soundtrack for a third person shooter game. That means it's pretty good." "HEALTH have never sounded as focused as they do here. These are sounds that will grab you by the hair and drag you where you need to go. It’s control of a potentially unpleasant, entirely intoxicating sort." It’s been six years since the last HEALTH album, the 2009 sophomore effort Get Color. 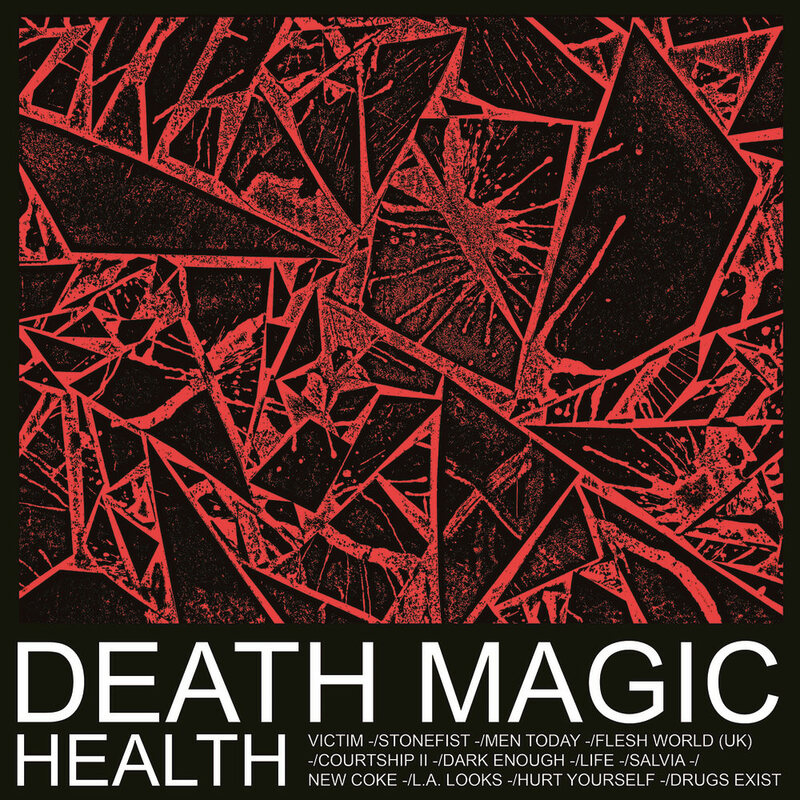 And while the Los Angeles group has kept busy on projects like video game soundtracks, Death Magic sounds like the work of a band that’s spent its time away honing a whole new sound. On Death Magic, HEALTH finally embraces the pop impulses that seem to have always been lurking in its DNA. "Obviously this record is more electronic and we’ve been moving in that direction. There are still drums, guitar and bass but there are a lot more electronic drums, instrumentation and weird sample stuff ... we wanted to make a record that was modern and relevant ... in the amount of time we’ve been a band there’s been a lot of innovations in music and so many of these innovations have been electronic which have changed the powerful nature in the way that you can present sounds."